eah, you know all about the Freedom Trail. 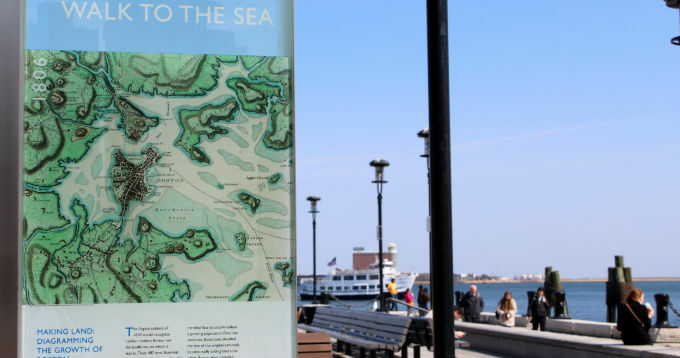 The Norman B. Leventhal Walk to the Sea will take you past some of the same history, but lead you to the water and some great city views. Named for the developer and philanthropist who left his collection of 200,000 maps and 5,000 atlases to the Boston Public Library, the free walk starts at the State House on Beacon Hill and ends at Long Wharf, passing glass panels with information about the sites along the mile-long route, including King’s Chapel, the Old State House, and the Custom House. Among other historic places, the Walk to the Sea passes the original home of Boston Latin School, America’s oldest high school, which Leventhal attended. These lines serve the Massachusetts State House. Click to find more secrets on your route.